Virtual School Resources: Sunsational Summer Giveaway! 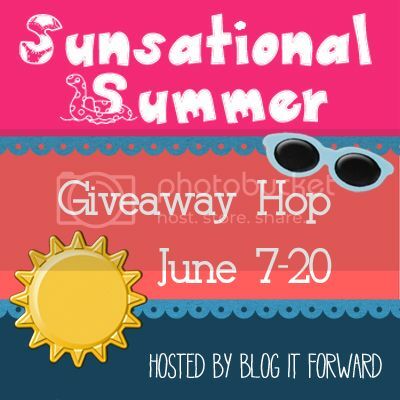 Welcome to the Sunsational Summer Giveaway Event. This event is hosted by Blog It Forward, My Mommy's World, Taking Time For Mommy, And The Little Ones Too, and Put A Little Umbrella In Your Drink. This event features giveaways with a value of $25 or more at each of the participating blogs! Be sure to visit each blog from the linky below and enter for your chance to win! This event will close on the first day of summer, June 20th at 11:59 pm EST. Scentsy has sponsored this giveaway with a $25.00 gift card! Good Luck and have a Sunsational Summer! 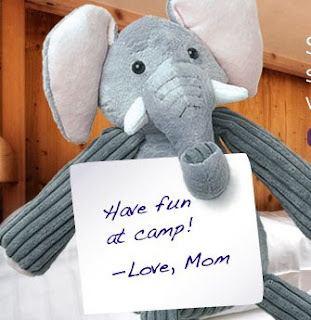 This is a Scentsy Buddy! Is it cute or what? This is a Scentsy warmer! Visit our sponsor, Jenn Harrison at Scentsy, to see other things you might buy with the gift card if you win! Jenn would love to share the business opportunity with you, too! Now go and enter all the other great giveaways! Good Luck! Me, too, Jenn! I just love when people walk in a notice how nice my house smells! I love Scentsy! What a great contest! I just ordered the Havana Cabana and Lavender scents and can't wait for them to get here! Thanks for stopping by! I have never tried Scentsy...would love to. Me, too, Courtney! Good luck! Love scentsy and they have so many great products/ scents. With the gift card, I will probably buy another large warmer for either the bedroom or bathroom. Awesome!Sounds great, Heather! I just ordered a new one with Havana Cabana, a new summer fragrance. Can't wait to get it! Love Scentsy! thanks for the giveaway! I was excited to be able to do this, Jen! Good luck! I love Scentsy, too! Thanks for stopping by! Good Luck! I have been wishing to TRY out Scentsy for a long time now, I've daydreamed through their products and if I was lucky enough to win I already know without a doubt I would for sure get the TARO PLUG IN WARMER and then be addicted to various SEASONAL SCENTS (especially edible types) all year around. I think having a seasonally fitting welcoming indulgent scent to your home really helps set an atmsophere and plus in my teeny tiny 495sq ft apt I bet that Taro Plug In warmer would make my entire little apt deliciously fragrant! : ) Thanks for the opportunity. I really love Scentsy. The first entry isn't showing up, so I can't read what I am suppposed to lave a comment about. I will just say again...I LOVE SCENTSY!!! Thanks for stopping by, Amy! I love Scentsy, too! Ilove scentsy so thanks for the chance to win. You're welcome, Just Jenn! Good Luck! Scentsy rocks. I've only just become acquainted with it, but it's great. Thanks for the giveaway. Love it! Glad you stopped by, Georgette! Good Luck! I'm keeping my fingers crossed for this one. I've been wanting to try the Hazelnut Latte scent. I must have missed that one, Marti, cuz I love me some Latte!! Good Luck! Me, too, Jodi! Good Luck! I would like to win this one. Scentsy is greatto have in your home. I agree Michele! Love a fresh smelling home! Good Luck! Thanks for the giveaway! I have always wanted to try Scentsy! You will love Scentsy, Kelly! Good Luck! Aren't the Scentsy Buddies adorable, Linda? Good Luck! I love scentsy so much! Fantastic giveaway! I love it, too, Maegan! Good Luck! I love Scentsy, too! Good Luck! Thanks for stopping by! i love scentsy products, good choice for a giveaway! I love Scentsy, too, Christine! Thanks for stopping by! I've never gotten a chance to try scentsy. Hoping I win so I can check it out!! It's awesome, Lisa! Good Luck! I am hoping to get to try scentsy out. I've never tried them before! You will love it, Sandra! Good Luck! Thanks for stopping by! I'm not sure what to comment about- Since it didnt show up. But i just want to say thanks for this awesome giveaway! I've always wanted to try a scentsy product. Thanks! What a generous giveaway! I won a delicious bar a few months back from a consultant and since then, I've been totally hooked! Can't beat scentsy! i love scentsy! all their stuff is amazing!! i love their scentsy bars! thats probably what id get if i win! Thank you for hosting this great giveaway! I don't own any Scentsy products yet - but I really, really like what I see. Love scentsy! I have a plug-in in my kitchen. I love Scentsy so it would be great to win this. Thanks for a great giveaway.